The VW, Audi, Skoda and Seat brands will launch 27 models based on the MEB architecture (shown). Volkswagen says the MEB platform that will underpin its I.D. electric-vehicle family will be even more scalable than the MQB architecture used for 80 percent of the group’s combustion engine cars. Those benefits were possible because Fuhrmann and his team tapped into the expertise VW has gained from years of using MQB, which is short for modular transverse matrix. The architecture is utilized in millions of VW Group combustion engine cars ranging in size from the VW Polo small hatchback to the 4900mm-long Skoda Superb sedan. “All that we know from MQB, we put into MEB to get the best scale possible,” Fuhrmann said. By the end of 2022, the VW, Audi, Skoda and Seat brands will have launched 27 MEB-based models. VW Group expects to build about 10 million MEB vehicles over the life cycle of the first-generation architecture. One concrete example Fuhrmann gave to show the commonality benefits gained from the architecture was VW’s decision to have just two standard drivelines for all MEB-based vehicles depending on whether they offer rear- or all-wheel drive, with one universal type of power electronics. “This was the idea. Scale, scale, scale,” Fuhrmann said. VW’s efforts were so successful, the company was able to equip the I.D. family with only one type of permanent synchronous motor (PSM) for all vehicles. Normally, PSMs are lighter and more compact but require expensive rare earth metals such as neodymium, for their magnetic properties. “It seems that scale effects and putting the pressure on [suppliers] have brought us to a price that we never thought we would get in the beginning,” Fuhrmann said. 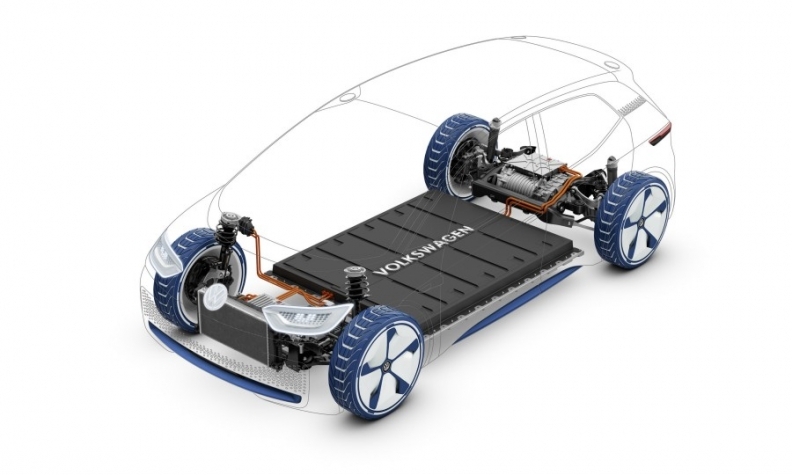 To generate higher power along the entire range of the platform, VW only needs minor changes. 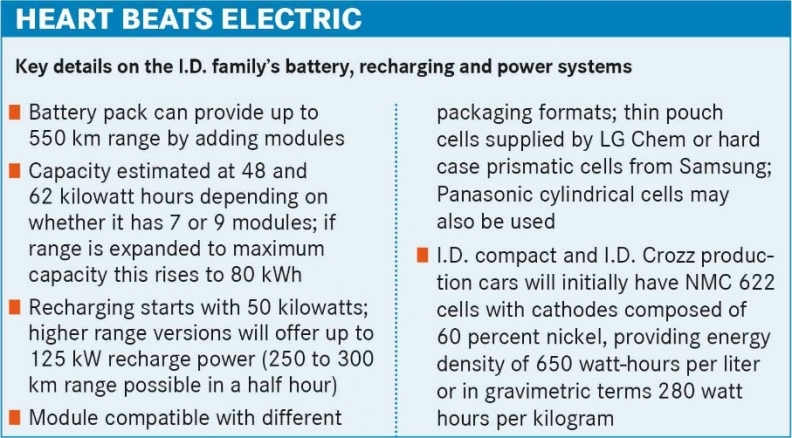 It can install a bigger battery that supplies more power, spin the same motor at higher revolutions, add another reduction ratio to the one-speed transmission in the rear, upgrade the software or a combination of these adjustments. Rivals may struggle to match this scale and commonality, but it doesn’t mean that MEB is more cost competitive than MQB on an absolute basis. Many of the parts for cars powered by combustion engines have been optimized over decades.